A number of the UK's best-known businesses yesterday stepped up their commitment to reducing the amount of waste sent to landfill, signing up to two schemes designed to cut waste levels and increase UK recycling rates. 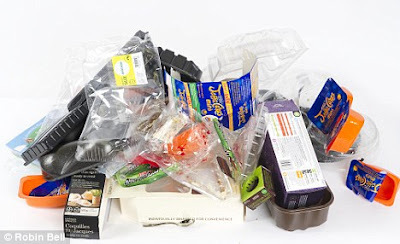 The Guardian reports that Associated British Foods, Coca-Cola Enterprises, Kraft Foods, Premier Foods and Procter & Gamble joined the latest group of retail firms to sign up to the second phase of the Courtauld Commitment, a voluntary scheme run by the government that sees firms commit to meeting a series of waste-reduction targets. Under the terms of the voluntary agreements signed between the companies and the government-backed Waste and Resource Action Programme (WRAP), firms agree that by 2012 they will have reduced the carbon impact of packaging 10%, cut household food and drink waste 4%, and cut packaging waste from the grocery supply chain 5%. The latest signatories join a host of high-profile firms in signing up to the current phase of the Courtauld Agreement, including Asda, Boots, Marks & Spencer, Sainsbury's and Tesco.Meanwhile, WRAP announced that two of the UK's largest construction firms - Barratt Developments and Hanson UK - have signed up to the Halving Waste to Landfill initiative, which has seen 540 firms commit to cutting the amount of waste levels by 50%. "One of the biggest challenges society faces over the next decade is reducing the environmental impact of the things we buy and build," said Liz Goodwin, chief executive of WRAP. "These responsibility deals bring about changes that deliver both commercial and environment benefits." "Building a sustainable business is not only about protecting the environment. With it comes a leaner, more efficient business that strips out waste and saves money. The voluntary approach allows industry sectors to move as one and deliver change without government intervention." The news came as reports emerged yesterday that councils are considering limiting the number of black bags that households receive each year, and charging people extra if they exceed their waste allowance.